WG Wood Products custom creates many unique and wonderful home accent and storage solutions from solid wood. But better than that, we allow you to customize them all in a whole host of ways so that you get just the product you need and in just the configuration you want. Not everyone is the same, nor do they all have the same needs, so our products reflect that! We have 20 different toilet paper holder models to choose from, as well as 24 different magazine rack models to choose from. Our medicine cabinets and pantry cabinets are unmatched for storage and uniqueness. Consider our SixforFour option that gives you a much deeper cabinet than you would normally get in standard 2x4 walls! Our spice rack and cabinet spice rack models are unmatched in versatility and function, and we have so many different models to choose from with more coming! Our recessed medicine cabinet and white medicine cabinet models vary in size, style, and configurations and each one has 18 different door styles available to them and if that's not enough our custom door catalog has many more to choose from! Our media cabinet and CD storage options come in both recessed models as well as surface mounted models so we can definitely find one to fit your needs. 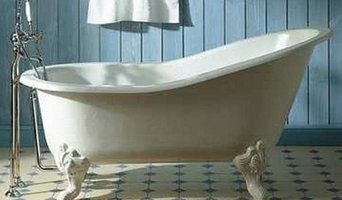 The Plumbing Place is your source for the area’s best plumbing fixtures, fittings, bath furniture and accessories. And now Smitty’s Architectural Hardware, located inside The Plumbing Place offers you the best selection of door & cabinet hardware. 25 years as a family business has taught us a lot about great customer service. Our 6,000 square foot showroom is virtually a gallery products in beautiful settings. Our pleasant and experienced sales consultants are ready to assist you in creating your beautiful kitchen or bath. We stock many products in our on-site warehouse, including Toto toilets, known as the finest performing toilet in the market. Open 6 days a week to the public and to the trade, we are conveniently located on Fruitville Road just off I-75 in Sarasota, and we offer delivery to a wide area. Whether you seek the very best, or the most value for your dollar, we have it for you at The Plumbing Place. Expand your bathroom space without remodeling with Rotator Rod -- the original curved shower rod THAT ROTATES! The Rotator Rod offers you the luxury of a standard curved shower curtain rod in the shower, then rotates into the tub -- and out of your way -- while you use the rest of the bathroom! The Rotator Rod is the perfect fix for small bathrooms, rental spaces, or people who like options, all with No Drilling Required! Receive #FreeShipping on any purchase over $30 on our website! Seashore Granite is a full-service custom design company providing quality service for residential clients in the Sarasota and Manatee County areas. 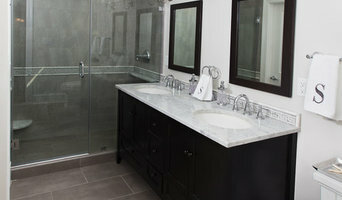 We offer stone and solid surface countertops, tile, fixtures, sinks, faucets and much more! From remodeling to new construction, kitchen or bath, our fabricators and expert installers are dedicated to working with you to exceed your expectations while providing the best in quality. Hughes Supply is here for you. Whether you are building a new home or remodeling your existing space. Our experienced staff will guide you in selecting quality products from leading manufacturers. 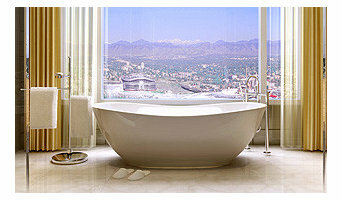 We will help you find the right products that represent your style and turn your kitchen and bath dreams into reality. We invite you to visit our website for ideas and then come to our showroom. Our goal is to assist trade professionals and discriminating consumers with the creation of distinctive kitchens and bathrooms. We do this by providing the most knowledgeable and service-oriented sales team in the industry, paired with the finest products from the most respected manufacturers (Kohler, Victoria and Albert, Brizo, Newport Brass, Hansgrohe, Maax, Blanco and Elkay just to name a few). Whether you are searching for uniquely distractive or purely functional fixtures for the home, look to Hughes Supply Kitchen and Bath Collection to find solutions for all your needs in one convenient place. Give us a call today at (239) 334-2205 or click the "Contact Me" button to send us a message. We look forward to working with you! 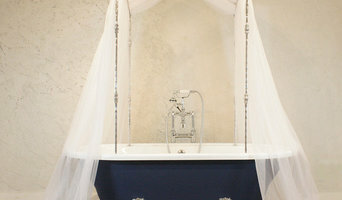 Use the Houzz Professionals listings to find Fruitville, FL kitchen and bath accessory vendors. Don’t rule out asking a kitchen manufacturer’s design team for help, too. Skills often can be overlapped to save you time and money! Here are some related professionals and vendors to complement the work of kitchen & bath fixtures: Kitchen & Bath Designers, Kitchen & Bath Remodelers, Interior Designers & Decorators, Cabinets & Cabinetry. Find kitchen and bath fixtures and accessories, plus installation experts, on Houzz. Check out Florida kitchen products and installers, and bath plumbing products and installers, on Houzz. You can also look through project photos provided by Fruitville, FL renovators, retailers and designers.